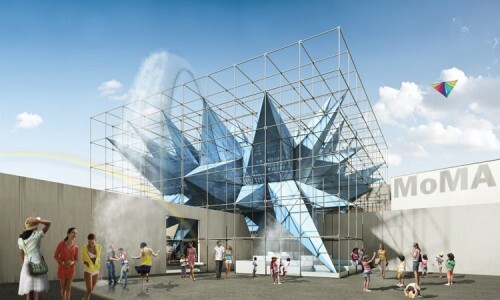 So you want to win the MoMA PS1 Young Architects Program? This year's champs Matthias Hollwich and Marc Kushner of HollwichKushner (HWKN) shared some insight about their strategy with AN. 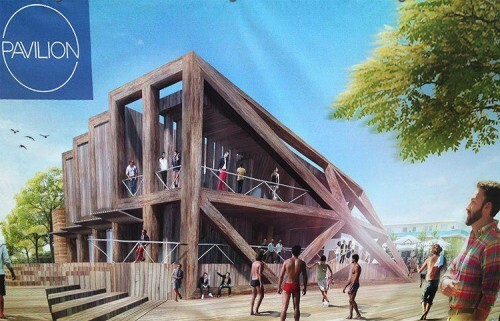 The competition started with an invited portfolio submission from about 20 young architects. After being selected by the MoMA PS1 panel as one of three finalists, HWKN started in with rigorous research into past winners and the selection process. "We made a book about every entry," Hollwich said. This study provided in-depth knowledge of the different approaches and forms which have won, and also those that have not been successful. The next step was a brainstorming session with their project team that produced 100 ideas. Those 100 were trimmed to 10, and then cut to three, but then Wendy, a striking scheme for a neon blue star, was added, making four. Once the final choice was made, a retroactive analysis helped to assure that they made the right choice and that the design had all the elements they were looking for. 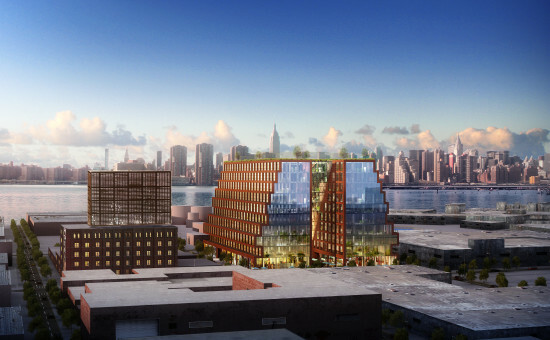 "It was not a linear process, but design never is," Kushner said. Wendy is a formal departure from recent winners. MOS' afterparty in 2009, Pole Dance by Solid Objectives - Idenburg Liu (SO - IL) from 2010, and Interboro's Holding Pattern from 2011 all worked as canopy-like structures spanning the courtyard, providing shade by creating spaces with overhead elements. Wendy is an object, and is more autonomous and isolated than previous entries. "I am interested in volume more than surface," Hollwich explained. The competing teams worked together in an unusual way. During the competition process, HWKN was in contact with the other teams regarding site information, which they felt helped create an even playing field between the competitors. As the only team from New York, HWKN assisted out of town firms with measurements and other on-site information. Upon being named winners, the other architects called to congratulate the HWKN team, said Hollwich. But then things got real. "High-speed architecture and prototyping have many hurdles. We are glad that we were already able to jump a couple of them," Hollwich explained. There was some unexpected drama when the question of ambulance access arose, requiring a column to be moved breaking the 3-D grid of scaffolding, but making for an interesting moment in Wendy's final form. A shout-out goes to the intern at HWKN who successfully convinced the leaders of the project to go with the name "Wendy." One late night in the studio, Hollwich received a long email detailing the reasons the name fit. He liked it, but figured Kushner would hate it. Kushner liked it, but thought Hollwich would hate it. "We think of Wendy as a kind of perfect storm, and every perfect storm is named for a woman." Personifying the building breaks with conventional architectural naming, and, the team hopes, invites visitors to fall in love. Construction begins May 15, and is set to be completed June 27th. 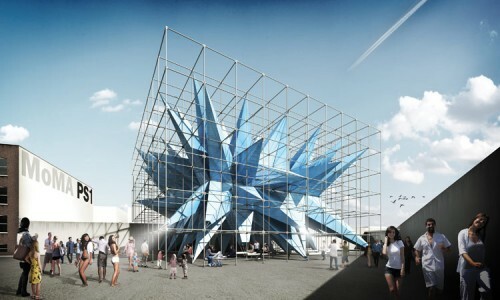 New York-based HWKN has been selected for this year's MoMA/PS 1 Young Architects Program. Their proposal, called "Wendy," uses standard scaffolding to create a visually arresting object that straddles the three outdoor rooms of the PS 1 courtyard. Tensioned fabric coated in smog-eating paint provides shelter and programming areas including a stage, shower, and misters. "Their proposal is quite attractive in a number of ways. 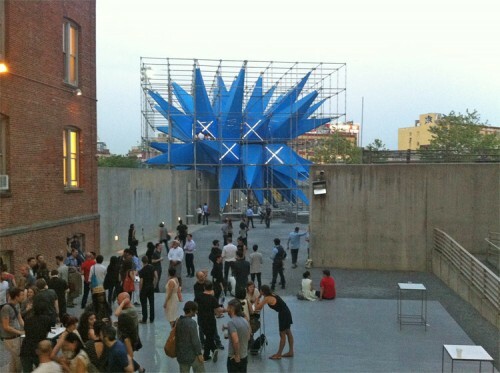 It's very economical in terms of design," said Pedro Gadanho, the curator of contemporary architecture at MoMA. "One object creates a variety of programmatic and ecological conditions and its scale rivals the height of the PS 1 building." 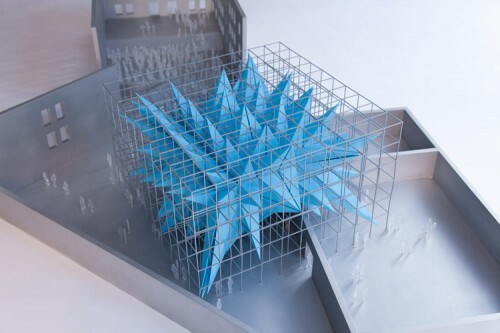 All the materials can be disassembled and reused, and according to Gadanho, the jury was particularly impressed with the combination of standardized parts (the scaffolding) and cutting edge technology (the smog-eating coating). "It's pro-active, it's not apologetic," he said. "It begins to point to a new way to think about sustainability." The designers, led by principals Matthias Hollwich and Marc Kushner and project architect Robert May, estimate the fabric will remove as much smog as taking 250 cars off the road. 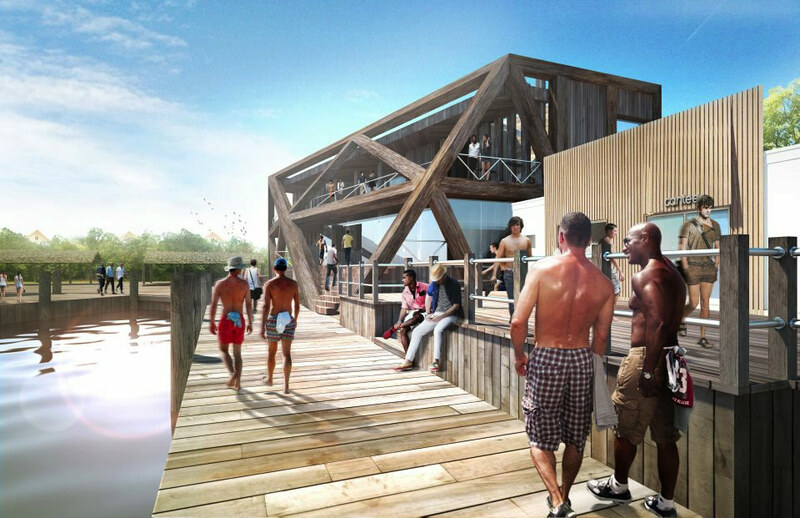 The pavilion will open in late June.